Should I choose A Profit or Non-Profit Senior Living Community? For many seniors today, there comes a time when they need to choose the right place to start the next phase in their lives. Typically, this means transitioning to some type of assisted living community or retirement home. When it comes to choosing the right home there is no end to the list of different types of facilities available. However, one of the biggest questions that many seniors have about their available assisted living options is what the difference between profit and non-profit senior living is. Most residential care facilities in the United States are for-profit, and most of these are also part of a large national chain. As the name suggests, these privately owned assisted living facilities charge residents in an effort to earn a profit. They may have more budgetary concerns to adhere to and bottom-lines to meet in order to earn the most profit possible. This does not mean that financial-gain is their only focus, and that these communities cannot offer caring and loving support for their senior residents, it simply means that they have a different business model. Non-profit assisted living communities on the other hand are typically owned by a specific group or have a specific affiliation. They are more service-oriented instead of money oriented, which can give them an edge, but they also may not have the money or access to the resources that some for-profit nursing homes have. However, for some residents they can offer more of a sense of community or shared values, especially with faith-based or ethnic-based communities. Many times, religious groups will own and operate assisted living communities or nursing homes or they may be public city or state-run organizations. Just because these communities are not-for-profit, they are still a business, just one that typically implies they have a “higher purpose” for serving their residents. Many seniors who are concerned about the well-being of their community or about giving back may feel more comfortable with an organization that is more service oriented in nature instead of profit-oriented. 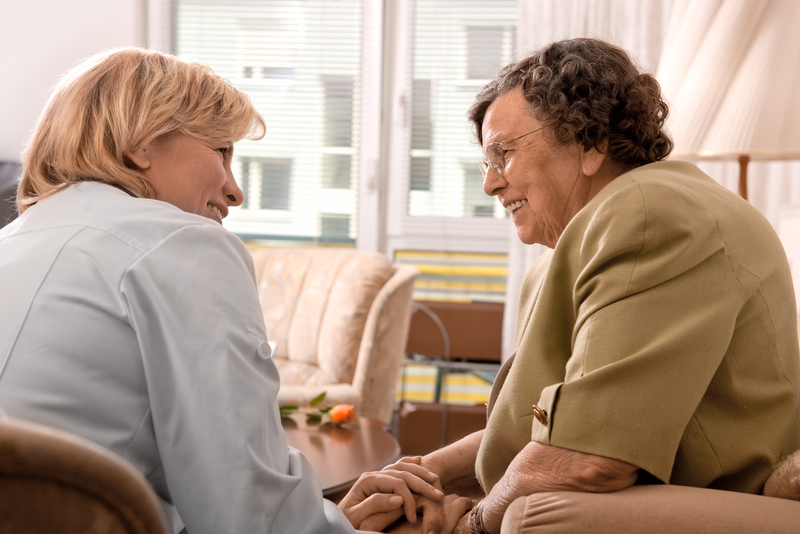 Whether assisted living facilities are for-profit or non-profit, they still need to adhere to certain regulations in order to stay in-operation and in order to ensure they are providing their residents with safe and adequate care. There is some perception that non-profits can provide more personalized care, but there is actually little data to support this idea. The difference between these profit and non-profit communities truly varies from place to place and is all about the individualized community. Since for-profit assisted living communities and retirement homes are significantly more common than non-profit communities, it may be difficult for some seniors to find non-profit facilities in their area that still meets their needs. Potential residents should not go into the search process completely dismissing all for-profits or non-profits during their search, as ignoring a certain type of community may mean accidentally overlooking the right community. However, when it comes to weighing options, all seniors and their families should remember just what the non-profit and for-profit labels really mean on each assisted living community that they visit.